Shop Nice! 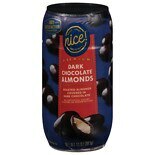 Premium Dark Chocolate Covered Almonds Sea Salt & Turbinado Sugar (11.5 oz. )11.5 oz. $699$6 and 99 cents$0.61 / oz. Shop Nice! 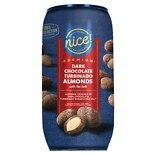 Premium Dark Chocolate Covered Almonds 46% Cacao (13.25 oz. )13.25 oz. $699$6 and 99 cents$0.54 / oz. Shop Nice! 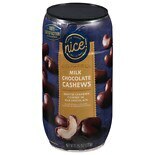 Premium Milk Chocolate Cashews (11.75 oz. )11.75 oz. $799$7 and 99 cents$0.68 / oz. Shop Nice! 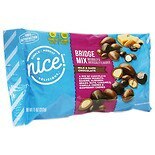 Bridge Mix Milk & Dark Chocolate (11 oz. )11 oz. Shop Nice! 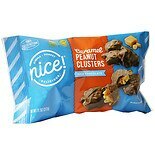 Caramel Nut Clusters Milk Chocolate (11 oz. )11 oz. Shop Nice! 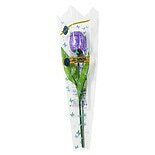 Chocolate Tulip (.63 oz. ).63 oz. Shop Nice! 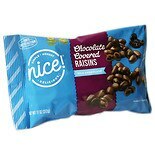 Chocolate Covered Raisins Milk Chocolate (11 oz. )11 oz. Shop Nice! 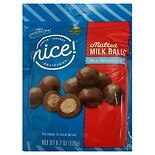 Malted Milk Balls (6.2 oz. )6.2 oz.